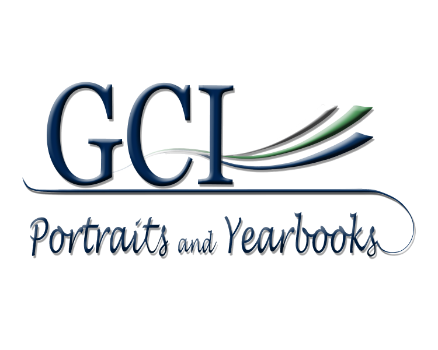 At GCI, we always strive to capture a great image of your students. Our staff takes the time to catch the details, such as straightening collars, touching up hair with a one-time-use comb, and making sure jewelry is positioned properly. We also work with your student to get a smile that looks natural and lets their personality shine through. Since School Picture Day is a fundraiser for your school, a large portion from the picture package sales price goes right back to your school. While we know parents want to support fundraisers, we want to be sure we are offering a good value. We are continually looking for fresh backgrounds to give you plenty of options from which to choose. We also offer customized specialty products that are both stylish and useful. Be sure you consider how your student’s clothing will look with the background you chose. Solid colors or simple patterns tend to put more focus on your child’s face. Brighter colors show up better than softer colors in the class photos which are taken in the spring at most elementary schools. Small accessories and jewelry will complement better than larger ones which tend to distract. If you have a special request such as “don’t wear jacket” or “remove glasses” be sure your student hands a note to the photographer. Notes placed inside the order form will not be seen until after Picture Day is over. To make things flow smoothly and to avoid order forms being submitted over a prolonged period of time, most schools opt for a “pre-pay” program. Please be sure to turn in your order form on Picture Day so that your order can be processed with the entire school order. If you would like to purchase additional photos after Picture Day, our office staff is always happy to help. Call us at 770-428-3717. In the event that you are not pleased with your student’s pictures, we offer a 100% satisfaction guarantee. Simply complete the information on the back of the picture envelope and return the photos within 10 days of receipt. When is Picture Day for our school? Most schools post their Picture Day on their website as well as on the sign outside the school. We deliver reminder flyers to the school to be handed out prior to Picture Day. We also provide stickers for the K-2nd grade to wear home the day before Picture Day as a last reminder. When will my child’s picture be delivered to the school? Pictures are usually delivered to the school 4 weeks after Picture Day. In the fall, Retake Day is provided to give everyone a second opportunity to get their picture taken for the yearbook. Contact your school or our office for the Retake Day date. There is no Retake Day in the spring. In the fall schools typically schedule Retake Day for about one week after the pictures are delivered to the school. There is no Retake Day in the spring. I didn’t buy pictures for my child on the first Picture Day. Can I buy them on Retake Day? Yes, just ask your school’s front office for an order form, print it from our website (GCIportraits.com), or give our office a call. Have your child turn in the order form to the photographer on Retake Day and we will print a package of the Retake Day image. I didn’t order pictures on Picture Day and my child missed Retake Day. Can I still order pictures? In the fall, every student has their picture taken for the yearbook. As long as your child was present and had their picture made on Picture Day you may place a late order through our office. In the spring, we typically only take pictures of students who pre-paid. If you did not order on that day, you will need to wait until the next Picture Day or you may purchase a class picture. What if I receive the wrong package? We make every effort to prevent errors but mistakes occasionally happen. Please contact our office and we will promptly correct the situation. I loved my child’s picture! How do I order more? Please call our office and we will be happy to help you place an additional order. We accept Visa, Master Card and Discover. I have more than one child at the school. Can I write one check for all? Our records are separated by each student and we need a separate payment for each student if possible. This helps ensure that your order is processed properly. My child wears glasses. Can you prevent glass glare? While we make every effort possible to prevent glass glare in your child’s picture, please order the retouching option if you want to be 100% sure that there will be no glass glare in the picture. My child didn’t smile in their picture. Can I get them retaken? In the fall there is a Retake day option. Please return the picture package on Retake Day and we will take a new picture and print a new package. While it is not required, our photographers appreciate it when parents make comments on the back of the package envelope to explain what they would like done differently. They want you to be happy and any comments you write will help them accomplish that goal. Please do not put notes to the photographer inside the picture envelope or inside the order form. Please note that the Retake Day picture will be printed on the same background as was originally ordered. If I put too much money in the order form, can they photographer give my child change back? If you are paying with cash, please be sure to include exact change. Our photographers do not have change available. If you have any questions or need any help, please give us a call. You can reach our office at 770-428-3717. If you would like to place an order and do not have an order form, you can take a look at the picture packages and backgrounds GCI offers by checking out our order form. Simply go to the homepage and click the order form tab. Please know that you may choose to order one of our picture packages or you can create your own by choosing items from the add-on menu. Don’t forget to take a look at the variety of specialty items and services that are available.